• With runners on second and/or third with a left handed batter up. 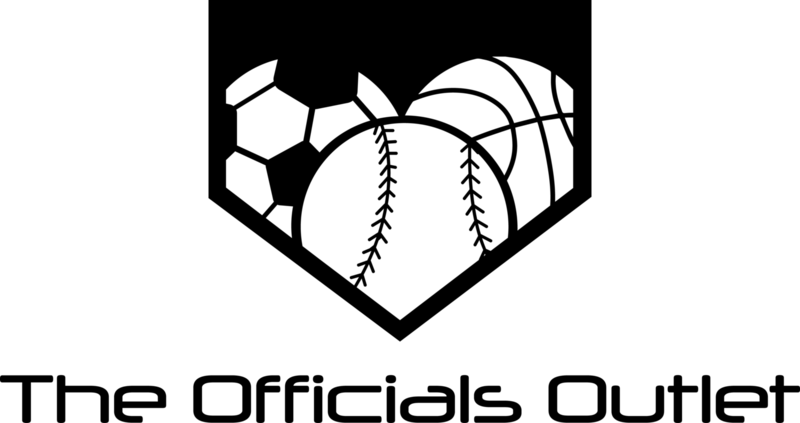 • Be responsible for runners touching bases during a base hit and a runner touching second on fly balls. • Be responsible for all fly balls unless the plate umpire calls you off. 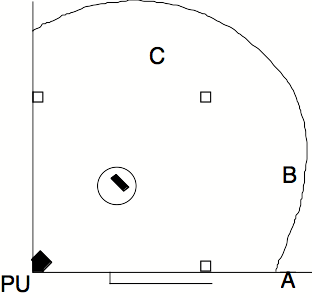 The following are the three positions for the base umpire when working on a small diamond with 65’ base paths for fast-pitch softball or little league baseball. • Shoulders are square to the runner on 1st base with peripheral vision on pitcher. Once pitcher releases the pitch look to home plate. • About two feet behind the shortstop. • Flex with the shortstop: If shortstop takes a position close to 2nd, be on the 3rd base side. If shortstop takes a position close to 3rd, be on the 2nd base side. • Shoulders are square to home plate. • Be responsible for runners touching bases during a base hit and fly balls. Movement will depend on where the ball is hit. • Batted balls that stay in the infield, stay outside and cover 1st and 2nd base. Plate umpire will cover 3rd base. 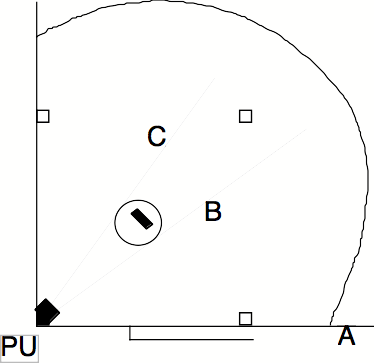 The following are the four positions for the base umpire when working on a small diamond with 65’ base paths. • Shoulders are square to the plate with peripheral vision on the runners. 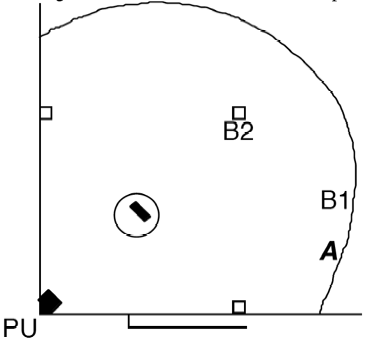 The “B2” position is an advanced position and should only be used by umpires who are quick on their feet and know and understand the game. This position allows the base umpire to get inside immediately when the ball is put in play. You must be able to move quickly and get out of the way, but the inside position allows the base umpire to get better angle on plays at the bases. • Batter or thrown balls that leave the infield (go to the outfield) move inside to a position near the pitcher’s plate. This allows the base umpire to get angles on plays at the bases. As the play comes to that base move toward the play to make the call.